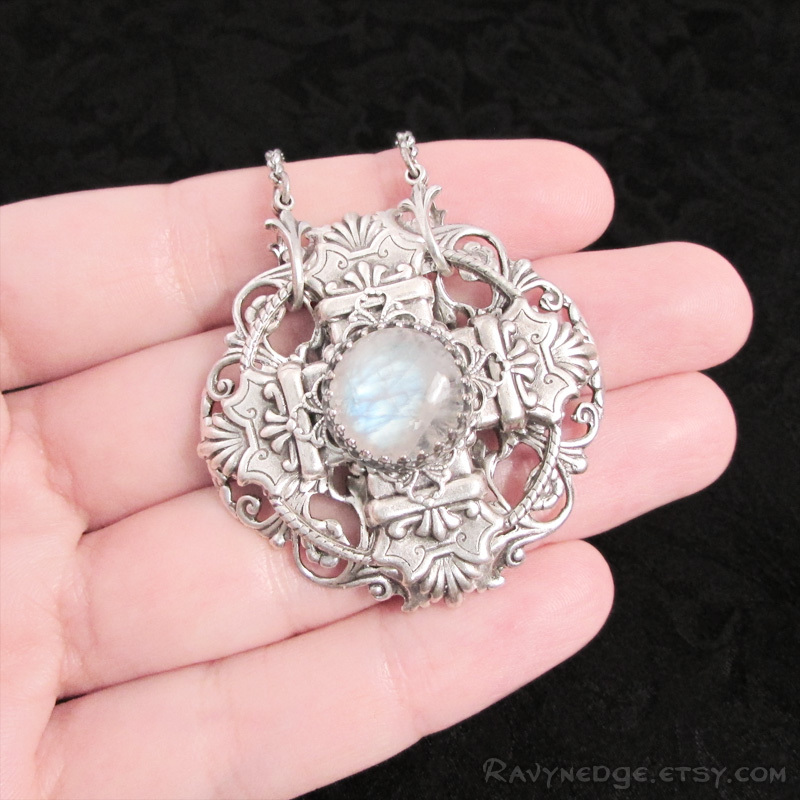 Spellbinder Moonstone Necklace - Rainbow Moonstone and Silver Filigree Pendant by RavynEdge. 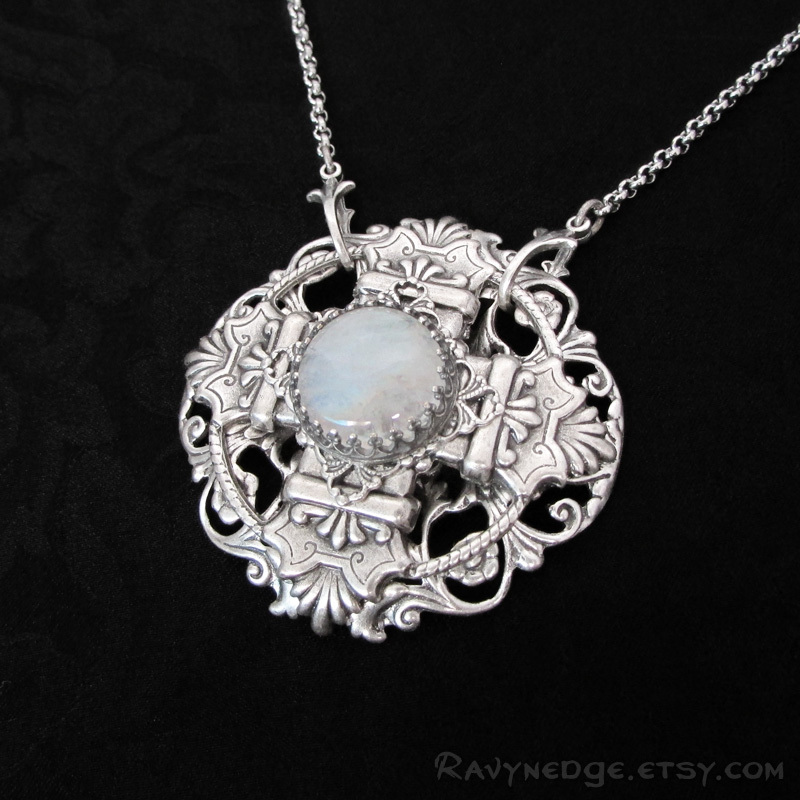 A spellbinding rainbow moonstone flashes amidst layers of ornate filigree. 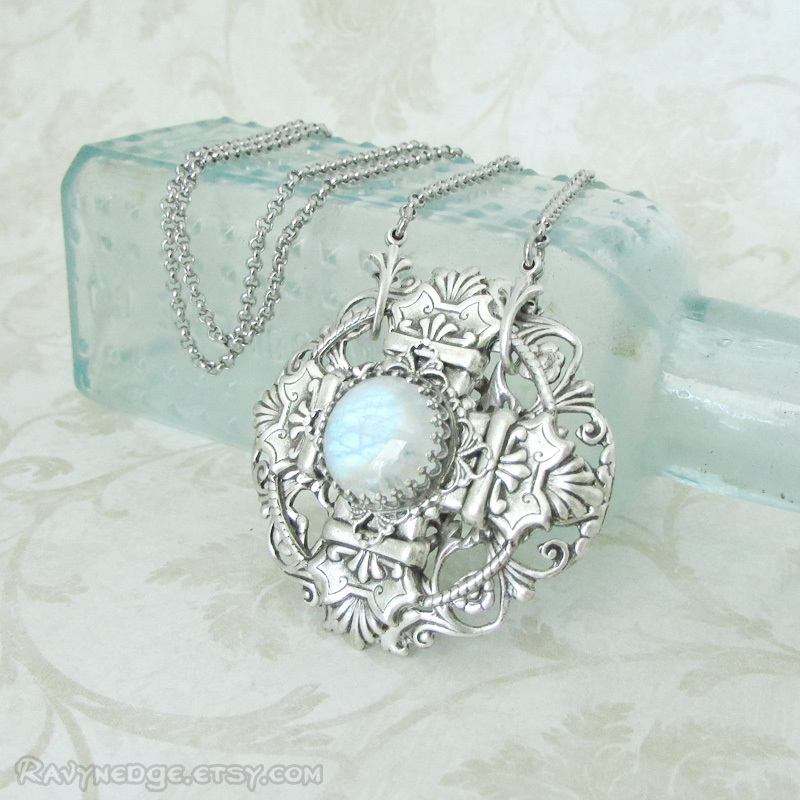 Made of silver plated brass with an oxidized finish to give that wonderfully romantic and gothic look with a vintage appeal. 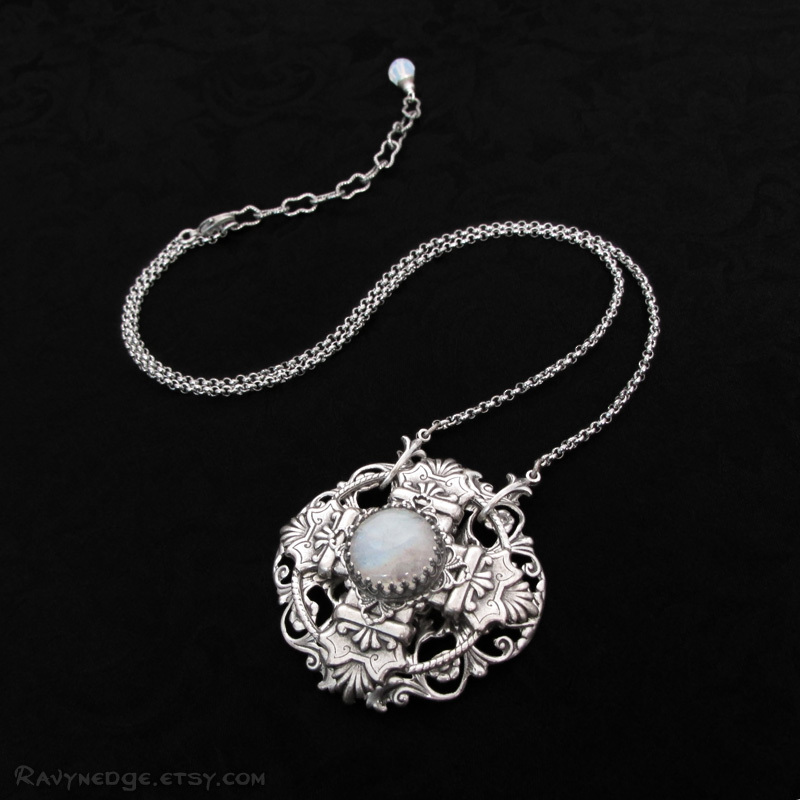 This pendant measures 1.53 inches (3.9cm) and the moonstone cabochon measures 12mm across the center. The chain is 16 inches (40.6 cm) stainless steel rolo chain with a 2 inch (5cm) sterling silver plated brass extender and lobster clasp. 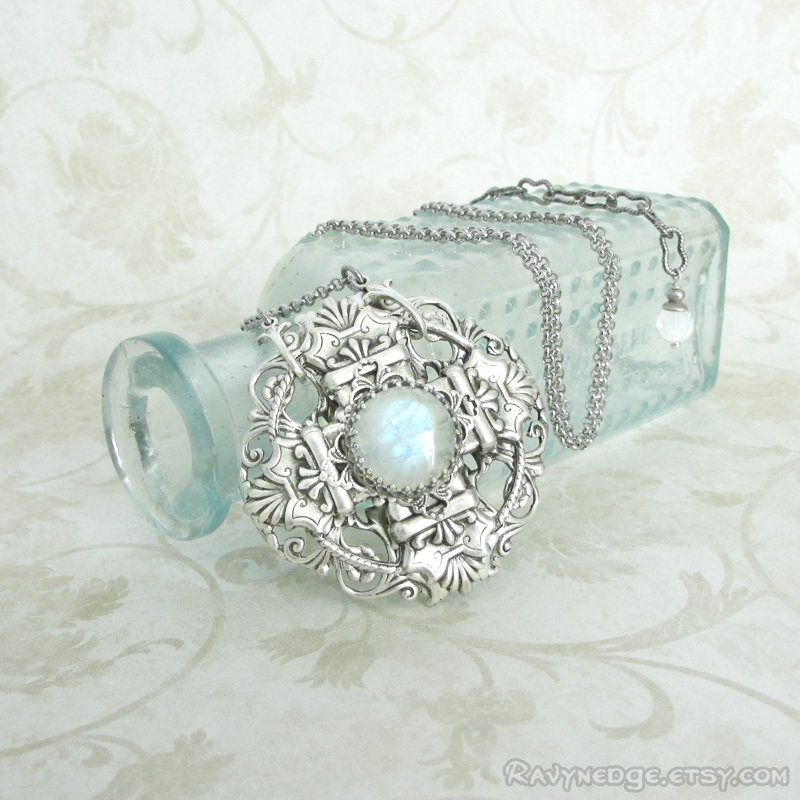 A Swarovski crystal bead dangle adorns the end of the chain.